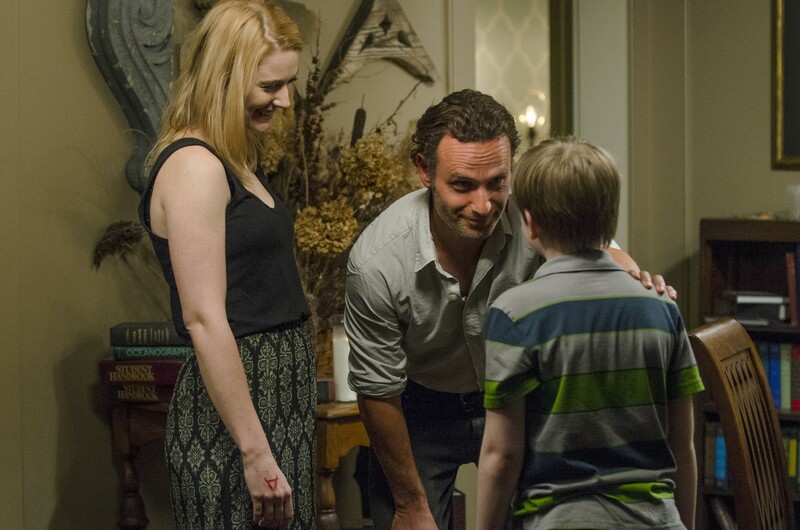 In the episode “The Distance,” Rick guards Aaron while he sends the rest of his group off to make sure that Aaron has been telling him the truth. 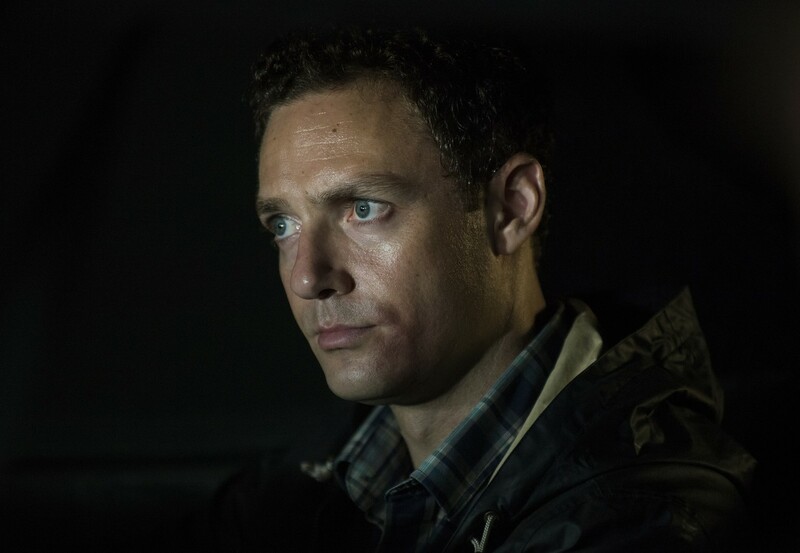 He tells his people they have 60 minutes to search, but then he tells Aaron he has 43 minutes before he will be killed if the others don’t return. Savvy fans might have noticed that 43 minutes is the running time of the episode, not counting commercial breaks. The voice heard on the radio a couple of times in the episode “What’s Happening and What’s Going On” is none other than that of Rick himself. 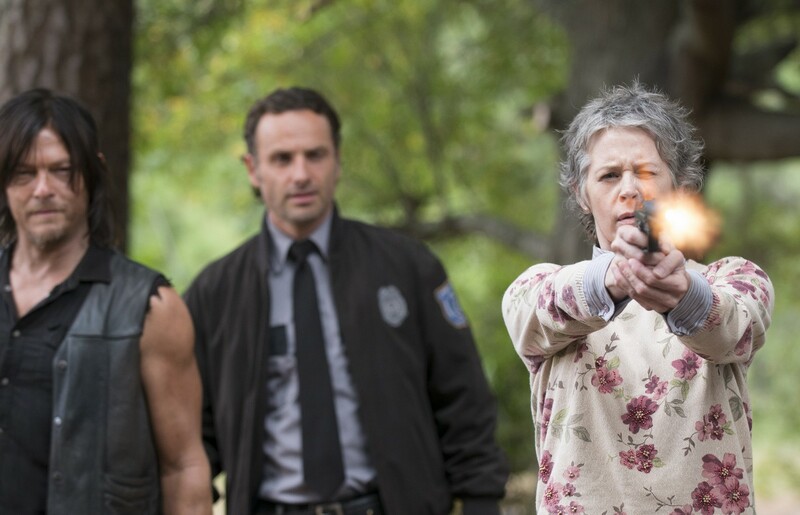 Andrew Lincoln used his British accent for the recordings. 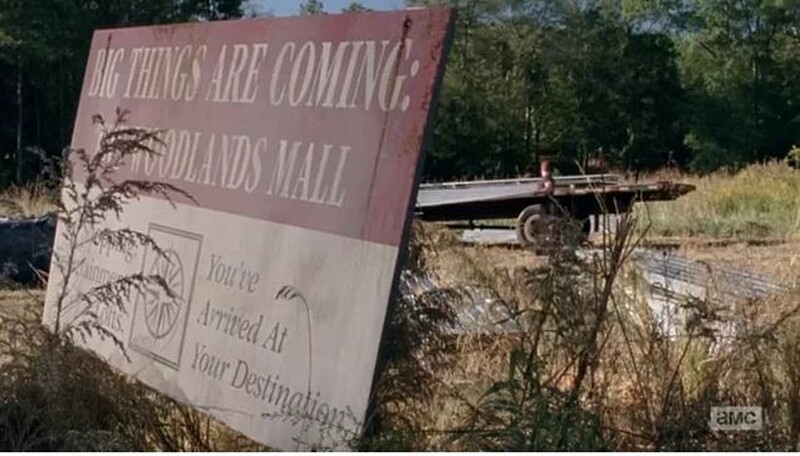 A sign near the construction site where Abraham was working looks like it’s hinting at the season finale. 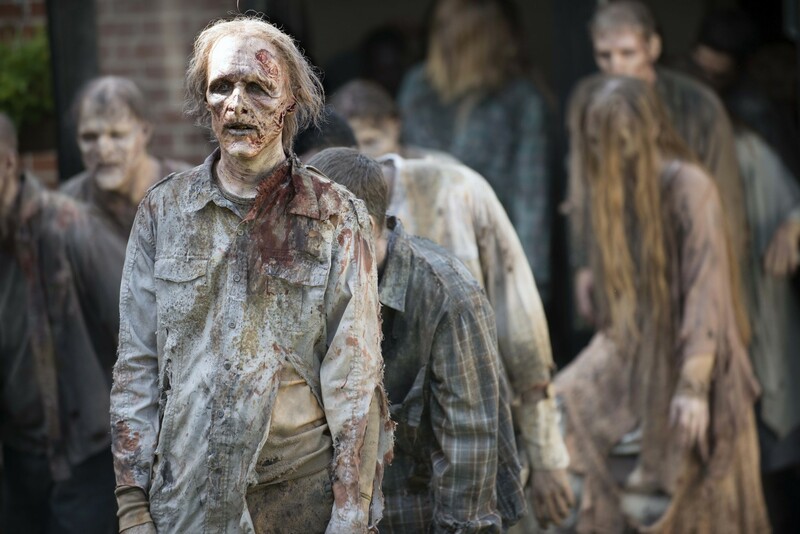 The “big thing” could be Rick and his group taking over Alexandria. 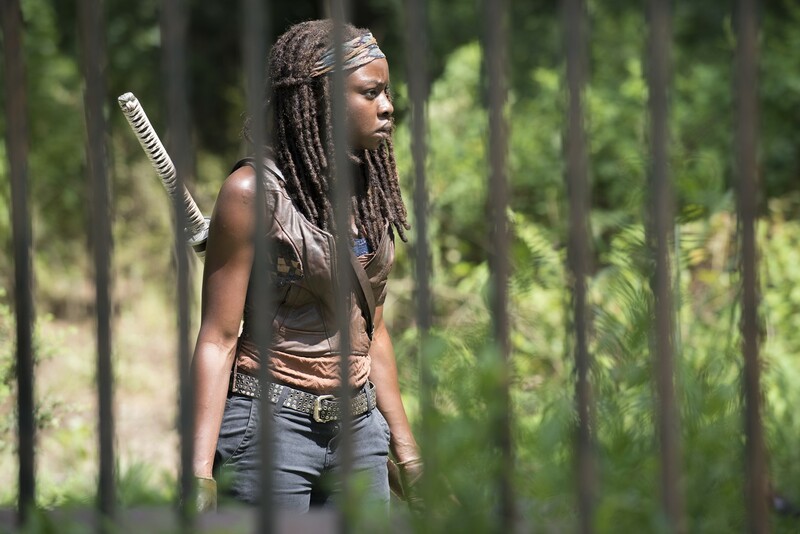 During her interview, Michonne was seen holding a book called Crime Without Punishment. 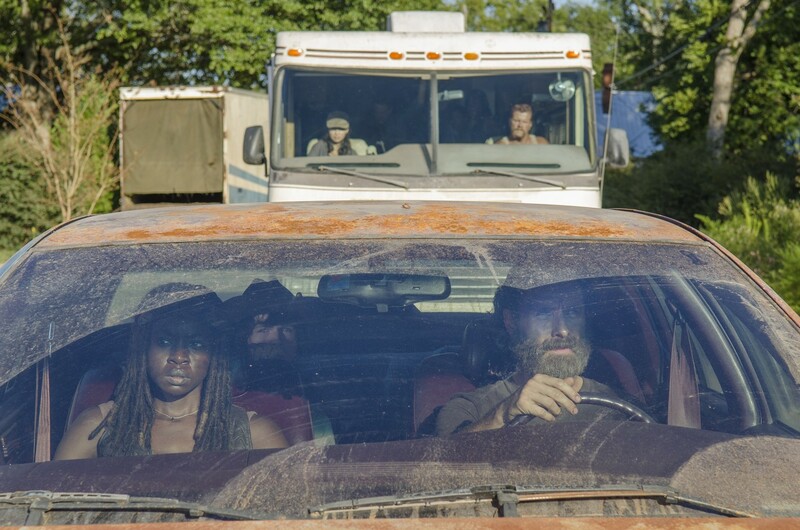 Michonne and the rest of the group have certainly done things that would be considered crimes. They’ve gone unpunished until now. Perhaps the book hints at their crimes being discovered by Deanna. Once he realized he couldn’t be saved, Aiden finally told the truth about the people who died on his watch. He admitted that the dead ones didn’t panic, but he and the rest of his group did. 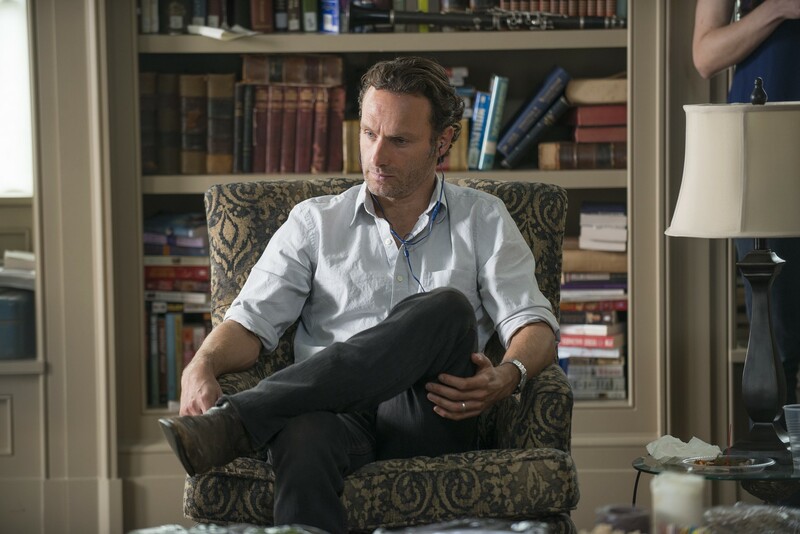 This could be another hint that Rick and his group are destined to run Alexandria. 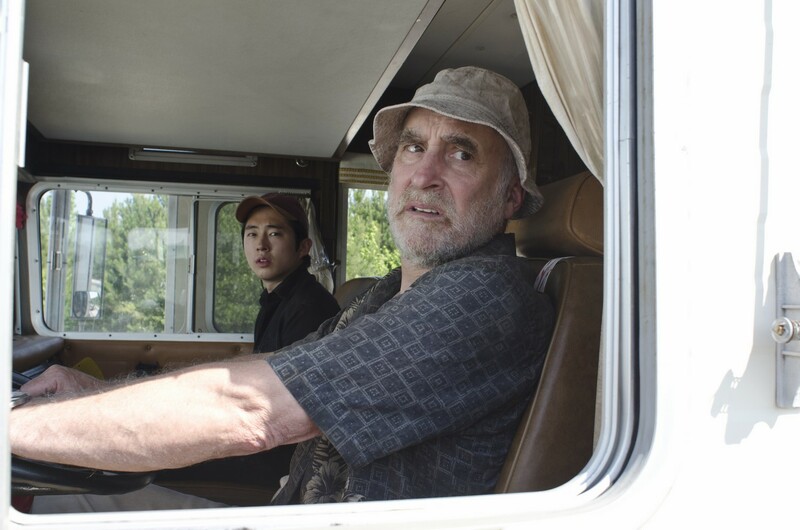 When the RV the group was driving broke down, Glenn jumped out and immediately knew where to find the extra batteries. When he was asked how he knew, Glenn just smiled, but fans knew it was because of Dale. Spoilers ahead for the comic series and possibly the TV series. In the comics, Glenn meets his demise at the hands of a man named Negan with a baseball bat wrapped in barbed wire. 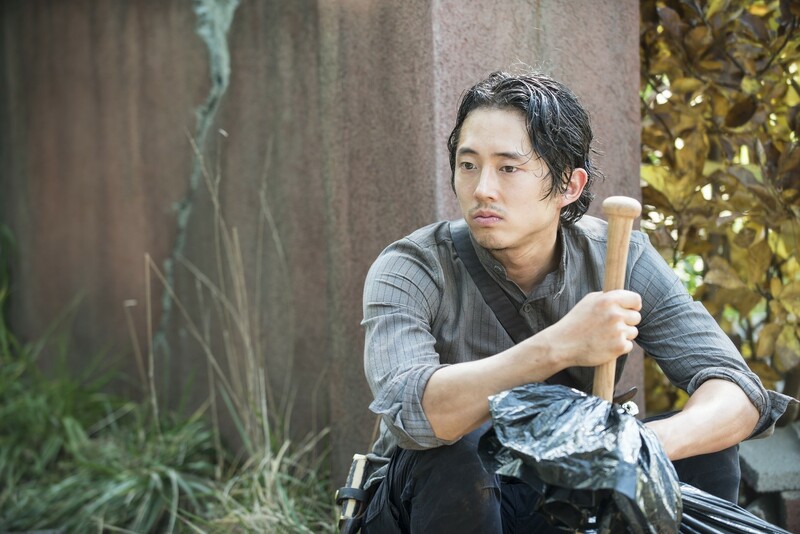 In “What’s Happening and What’s Going On,” Glenn is seen holding a bat, which could just be a tease for comic fans, or the possible foreshadowing of Glenn’s death on the TV series. It’s been many episodes since we saw Morgan, but one eagle-eyed fan spotted what could be a hint that he is coming soon. 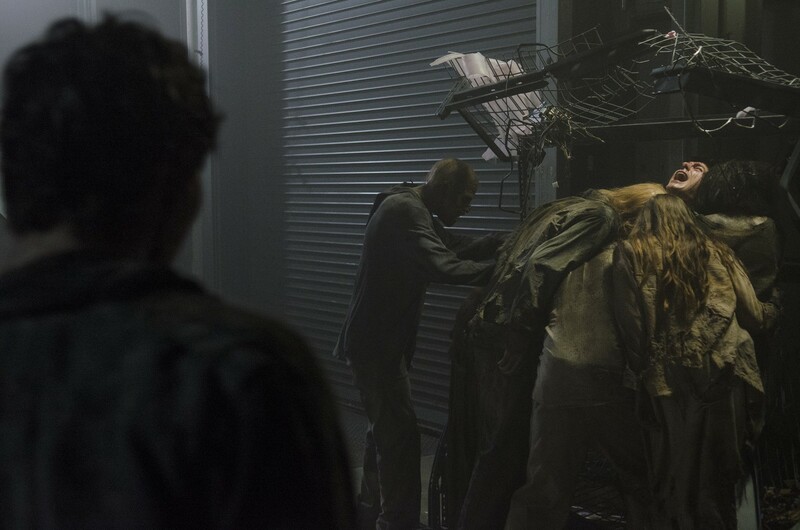 Many fans posted on Twitter that Rick can be seen walking past a street sign that clearly says “Morgan” in a recent episode. 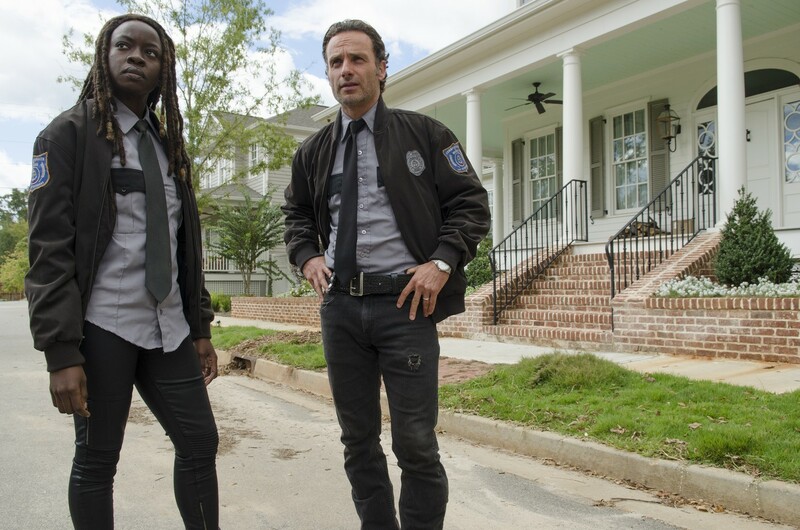 Rick’s new uniform includes a patch with a Latin phrase that, according to costume designer Eulyn Womble in an episode of Talking Dead, translates to “We will rise again.” This could mean that Rick’s group is going to take over Alexandria. In a recent episode, Jessie’s son Sam stamped everyone’s hands at the party with a big “A.” Later on, Rick can be seen proudly displaying his hand for Jessie. 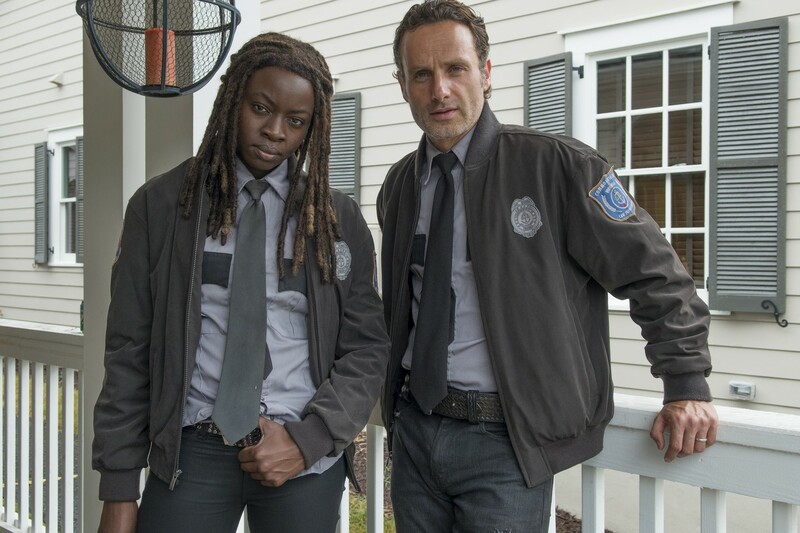 Though it could just stand for Alexandria, it might also suggest that Rick and Jessie are about to start an affair and have already been stamped with their a scarlet letter.